When talking about CRISS CROSS, you are without doubt referring to one of the most significant and successful musical institutions of the Austrian Jazz music scene of the last three decades. Founded in 1983 by pianist and composer Adriane Muttenthaler, the group has ever sincere presented a type of jazz which expresses itself through a very solid style yet with many variations at the same time. 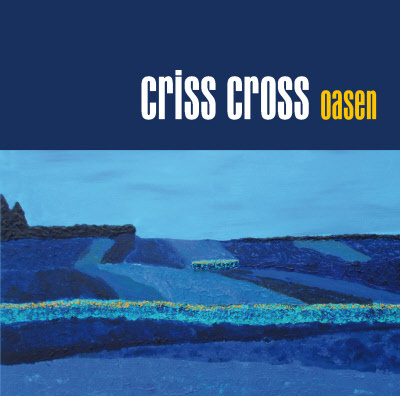 In this regard “Oasen”, the new album by the six piece formation is no different. Adriane Muttenthaler, born in Canada and raised in Austria, took inspiration for the album "Oasen" from her time spent in recent years in the Waldviertel- a quiet and sparsely populated region in the north of Austria.This region represents for many a quiet retreat or ‘oasis’ away from the noise and hecticness of the city. This is a place where one can really relax, you can open your mind and let your creativity run free. It was the perfect place for Adriane to invite her top class band comprised of- Chris Kronreif (Soprano Saxophone), Viola Falb (Alto Saxophone, Composer), Michael Erian (Tenor Saxophone, Composer), Heinrich Werkl (Double Bass, Composer) and Patrice Heral (Drums) - to work on the new album in a calm and peaceful setting. The carefree atmosphere of relaxation and artistic freedom is reflected in all of the recorded t racks. No sound has been rushed, no melody, improvisation or key change is an uninspired embellishment. Everything has its place and when all brought together, the result is musically elegant and inspires excitement. Adriane Muttenthaler along with her fellow musicians portrays a complex, very detailed and suspense filled audible painting whose vibe awakens a wide spectrum of emotions in the listener. One aspect, especially in the main Oasis Cycle (blue- yellow- green- red), which is particularly audible, is the beautiful landscape of the Waldviertel, Adriane’s second home, and how it changes through the course of the seasons. Out of the cold blue of winter blooms the vivid yellow of spring slowly and softly. In summer, a luscious green takes over which will then change into a glistening, warm red come autumn. This natural and ever repeating colour spectrum falls perfectly into each individual track. It wouldn’t be Adriane Muttenthaler if she didn’t offer her fellow musicians the opportunity to bring their own music to the table. Saxophonist and Hans-Koller Prize winner Viola Falb portrays in her groovy composition “Just another year”, the turn of the year and the often well-meaning yet broken resolutions which are made. This yearly ritual is something which she herself doesn’t particularly take too seriously, but also knows how to reflect this playfully in her art. For Michael Erian on the other hand, it was a train ride to Germany which inspired him to write a track. The saxophonist was on a train called “Hugo von Hoffmannsthal” which then gave name to the track “Hu-Go”. Heinrich Werkl also makes a very successful contribution through his track “Mystic” which, in its sound, adds a hint of mystery. 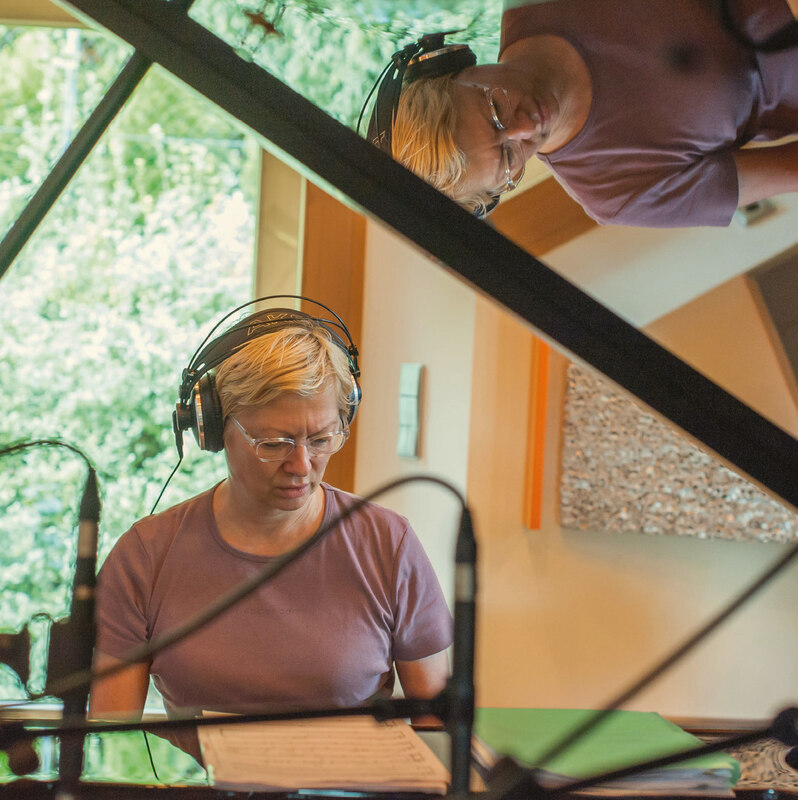 “Oasen” is rounded off by short “Short Cuts” which were spontaneously created during rehearsal sessions in wavegarden, the studio of Franz Schaden in Retz. The result is four diverse improvised short tracks which were worked on in equal amounts by all six musicians in which the joy of creativity really comes through. All in all, one can say that “Oasen” is an album which really succeeds in painting a picture in the listener’s mind in also a very haunting way. In short, a really successful and beautiful musical statement delivered by Adriane Muttenthaler and her band Criss Cross.